Michael Steinhardt, one of the great investors, once said of Warren Buffett that, “he is the greatest PR person of recent times.” If the number of books written about him were any indication then Steinhardt may be correct. There are books on Buffett’s personal life, his investing style, his holding company Berkshire Hathaway. Any aspect of his life you want to know about, there is a book on it. With so many choices it is difficult to know what is worthwhile and what should never be taken off the shelf. One book that is always held up as a great Buffett book is Ground Rules by Jeremy Miller. With Buffett’s permission, Miller has compiled Buffett’s letters from his investing partnership days and categorises them thematically into Buffett’s investing ‘ground rules’. A bit of historical context for those unfamiliar with Buffett’s timeline. 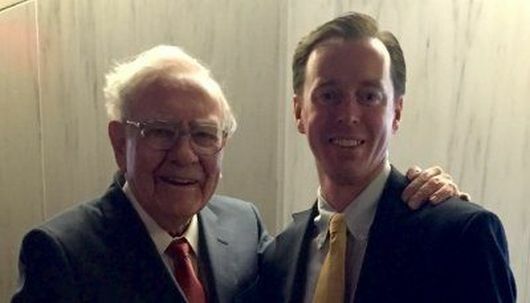 Before Berkshire Hathaway he invested on behalf of a partnership. It lasted for 14 years and those years were some of Buffett’s most successful. Notably in 1968 he beat the Dow Jones Industrial Average by more than 50 percent!! This is such an important lesson for any investor that it cannot be overstated. Compounding is so central to wealth creation that Buffett has called it “the eighth wonder of the world”. Take the example of a choice between the simple interest or compound interest account. If you chose simple interest and put $100,000 in an account earning 10% a year – you’d earn $10,000 interest every year. However, if you chose the compound interest, that initial $100,000 would be earning 7% more after 5 years, 30% more after 10 and 70% after 15 years. The explorer Peter Minuit purchased the island of Manhattan from the Native Americans for only $24 in 1626, and writing in 1965 Buffet estimated the island would be worth $12.5 billion, based off current Manhattan real estate prices. A good deal by any estimation. However, if the Native Americans had invested that $24 for the 338 years at an average return of 6.5% they would have reached $42 billion. If they managed to get 7% annual return – that $24 would be $208 billion! 3. Munger once joked that Buffett viewed a $10 haircut as costing him $300,000. If we were to actually do the maths it appears that Munger underestimated it. A $10 haircut that Buffett skipped in 1956 (when he started his partnership) would be worth more than $1 million today ($10 compounded at 22% for 60 years)! Obviously, these examples are farfetched – but the point he makes is clear. Compounding is wonderful, take advantage of it. Even from his earliest days of an investor, Buffett was a huge proponent of index funds – a fund that passively holds a basket of stocks, regardless of their performance. In Buffett’s partnership days the main index fund was the Dow Jones Industrial Average – which consisted of 30 of the biggest American companies of the day. These days, there are more index funds than you’ll ever need which gives investors a choice in what they want their investment returns to the indexed to. The premise behind investing in indexes is simple – Buffett told his partners that he expects the market to compound at around 5-7% per year on average over a very long time horizon (20-30 years). So whilst markets will rise and fall over the long term the market will continue to rise. If we take this as a starting point, then logically investors should only actively invest or give their money to active investors if they will be able to beat that rate of return after costs (e.g. the cost of brokerage or the fees paid to professional investors). In his 2013 letter to all Berkshire Hathaway shareholders, Buffett explained when he died he asked that 90% of the money he left his wife was invested in a low cost S&P 500 index fund (The 500 largest companies traded on the New York Stock Exchange) and the remaining 10% in short term government bonds. Warren Buffett learnt from Benjamin Graham – a man who many consider the father of modern value investing. As such Buffett’s early years were characterised by an attraction to deep value stocks – stocks that were priced below their intrinsic value. Graham had called these ‘net-nets’ or Buffett referred to them as ‘free cigar puffs’. Two other styles of investing were common in those early partnership years. The second was risk arbitrage, or as he called them ‘workouts’. Essentially when a company announces plans to acquire or merge with another company the target company’s share price will move close to, but not right to the acquisition price. This price difference reflects the uncertainty of the deal actually going through. Risk arbitrage investing is when you purchase the shares and essentially bet the deal will go through. His third category of investment in the early partnership days were ‘controls’ where he looked to take a controlling interest in the business. This is what occurred with Berkshire Hathaway. Yet over time, Buffett’s investing style drifted from this deep value style. He had later explained the transition as going from “looking for good companies at great prices, to great companies at good prices”. It shows how there is no one correct investing style, and the important consideration is what investing style makes sense to you. Want to get in touch with The Equity Mates? Next Top Trader: Week 5 Update | Walk Disney Is Hot!